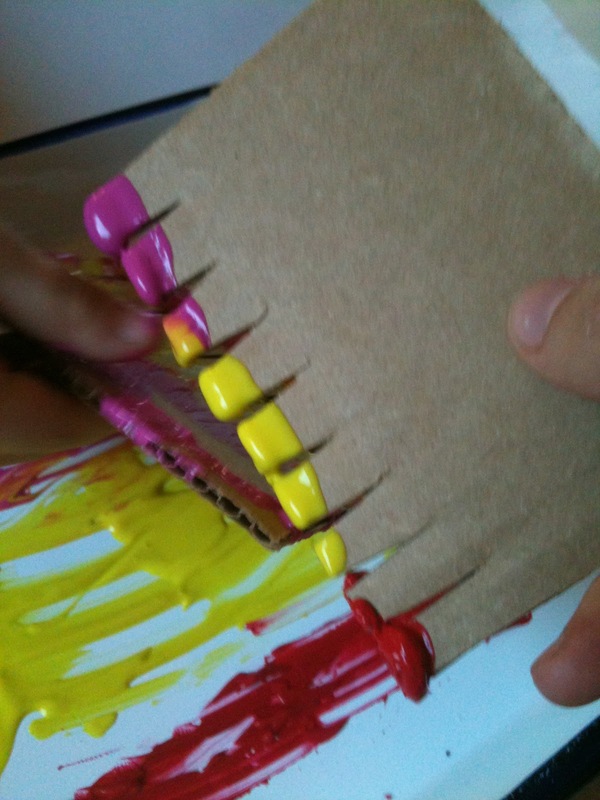 These DIY Cardboard Painting Combs were easy to make and perfect for little hands to paint with. Inspired by plastic painting combs I have seen before, I took pieces of heavy duty cardboard and cut them into small rectangles. I then cut the edge of one side of the cardboard, making a variety of different combs with different thinnesses and thicknesses. 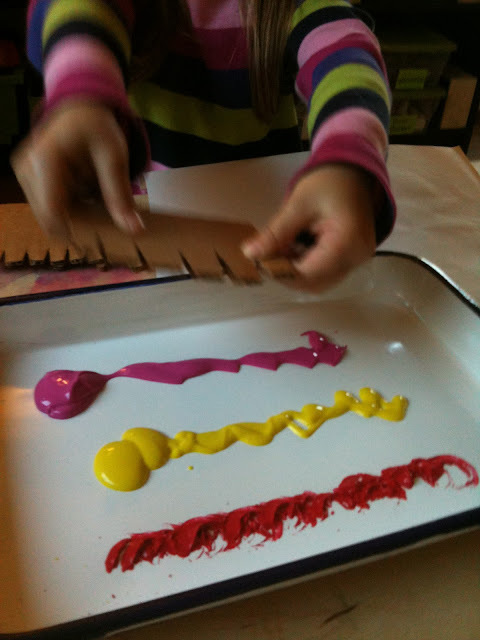 Next we put some paint into a tray and dipped the cut edges into the paint. The Bee then ran the comb along the paper creating a striped texture. 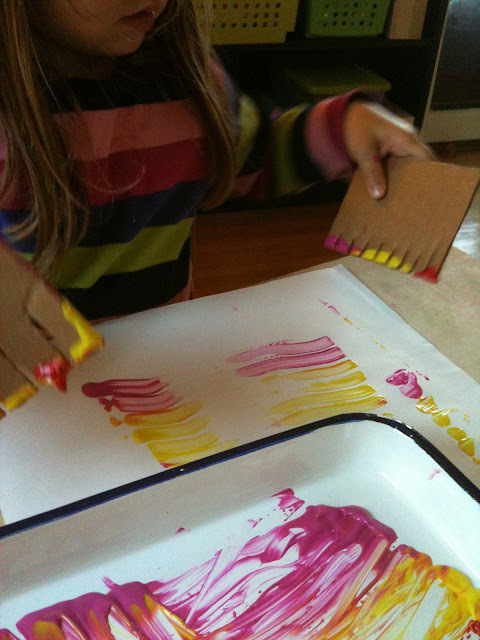 She then painted on the paper with a brush and tried running the comb through the painting which created some cool lines and patterns. While I made them with the intention of using them to paint lines and textures the Bee quickly came up with her own preferred method. 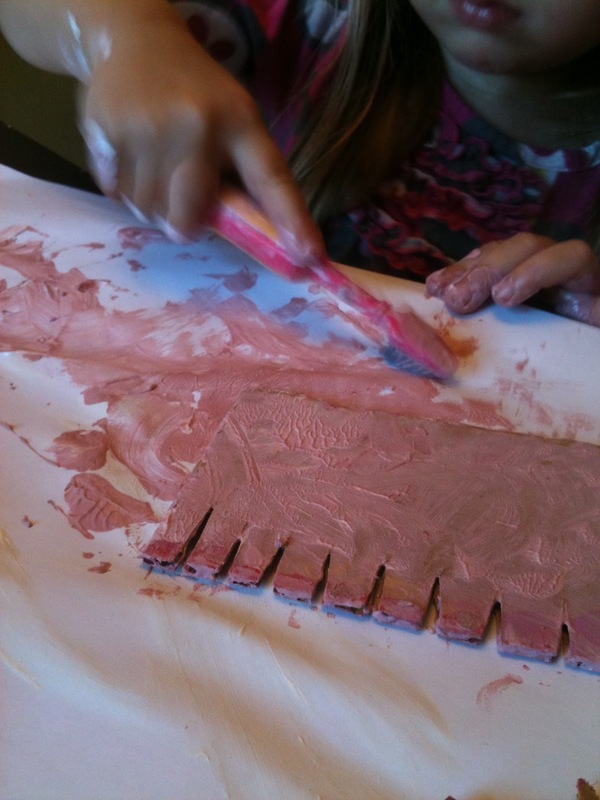 She painted directly onto the cardboard and then used the cardboard combs like a stamp! This also created some cool textures and patterns and I loved seeing her own creative technique! I truly enjoyed this tip and shared it on my art and craft blog Scribbles. Hi Corry! I am so glad you liked it and thanks for sharing! It is one that I hope to revisit soon!